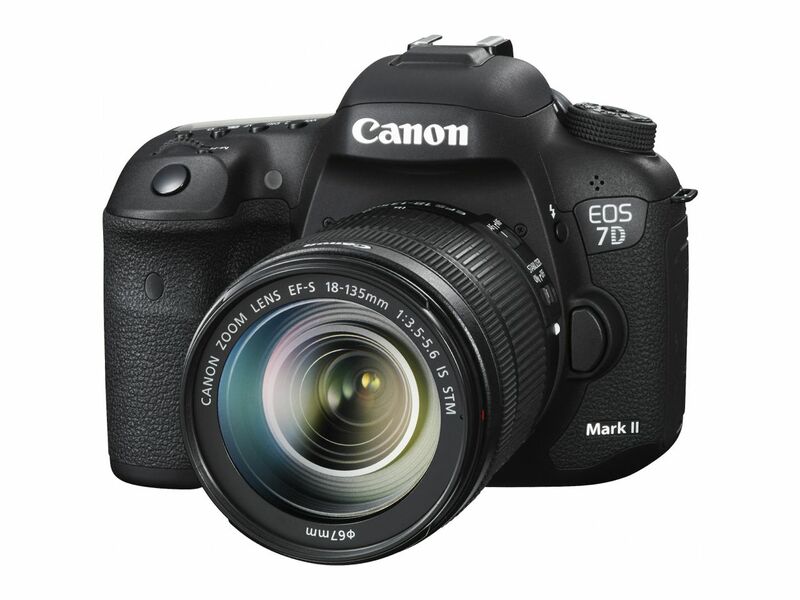 Canon launched the Canon EOS 7D Mark II on the 15th September 2014, the successor to the award winning Canon EOS 7D. 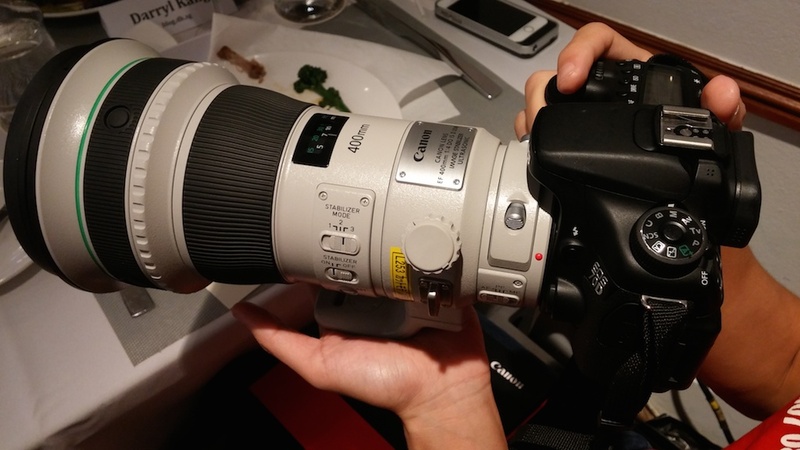 I was invited to the media launch event and witnessed the launch of the Canon EOS 7D Mark II, new lenses EF 400mm f/4 DO IS II USM, EF 24-105mm f/3.5-5.6 IS STM and EF-S 24mm f/2.8 STM. There were also announcements for Canon PowerShot G7 X, PowerShot SX520 HS, PowerShot SX400 IS and PowerShot N2. Since I am first and foremost a DSLR user, the Canon EOS 7D Mark II gets the most attention and affection from me. 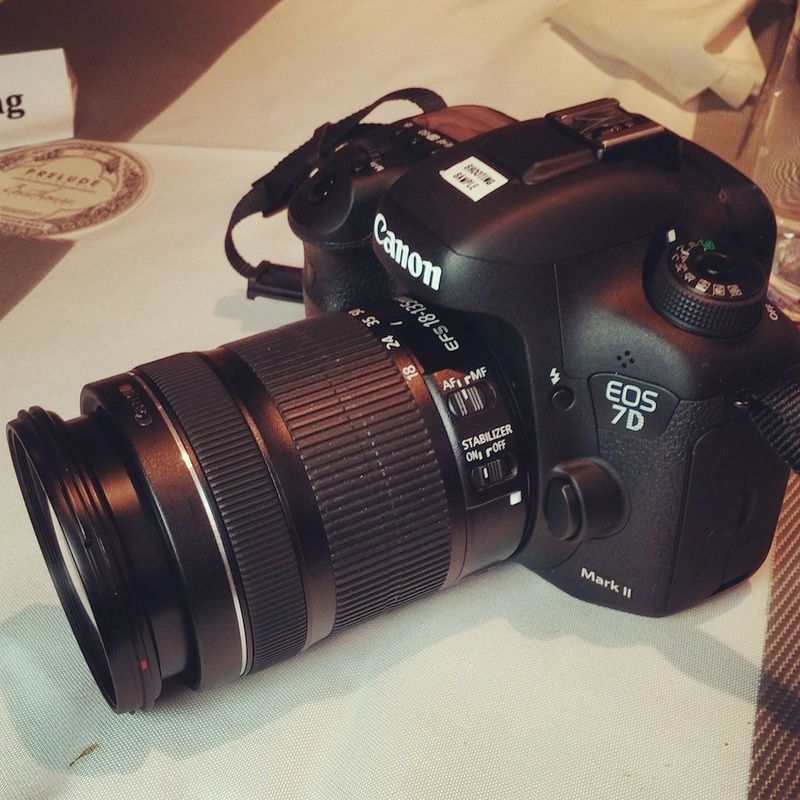 While I only had a short 1 hour hands on experience with the Canon EOS 7D Mark II, my first and foremost thoughts were of a powerful and impressive DSLR. I would like to bring you through some thoughts and views of mine of the Canon EOS 7D Mark II before I share the press release information and details in the later part. 10fps – High Speed performance inherited from the Canon EOS 1D Mark IV, check out my YouTube clip and listen to the 10fps! I am looking forward to review the Canon EOS 7D Mark II when the opportunity arises whereby I can explore the full capabilities of the Canon EOS 7D Mark II further and share with my friends, followers and readers. In my thoughts and planning, the Canon EOS 7D Mark II might be a possible 2nd DSLR camera setup for me (a possible setup combination in the future is Canon EOS 1DX and Canon EOS 7D Mark II), that can provide me with the powerful tools to do Sports, Wildlife and Events Photography. The Canon EOS 7D Mark II doesn’t just raise the bar with their new cutting-edge features. 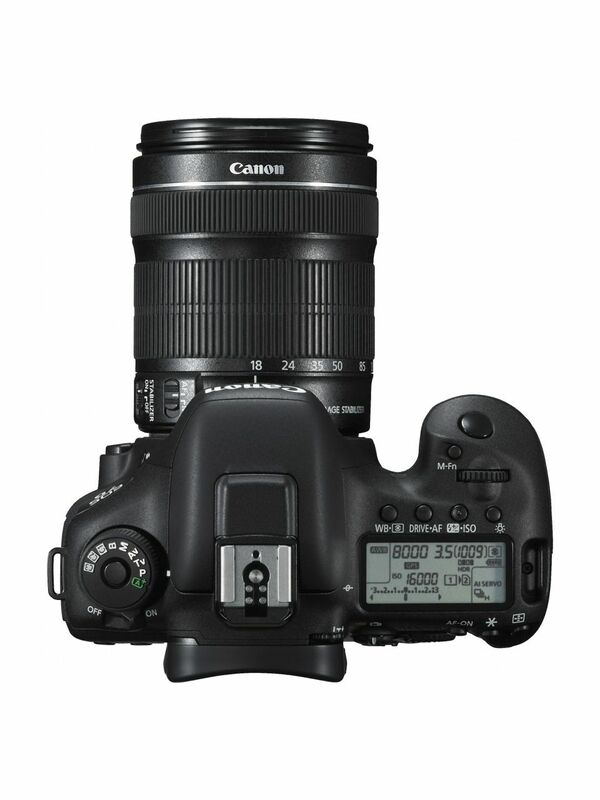 It can be the new generation workhorse and powerful DSLR for serious enthusiasts and professional photographers. 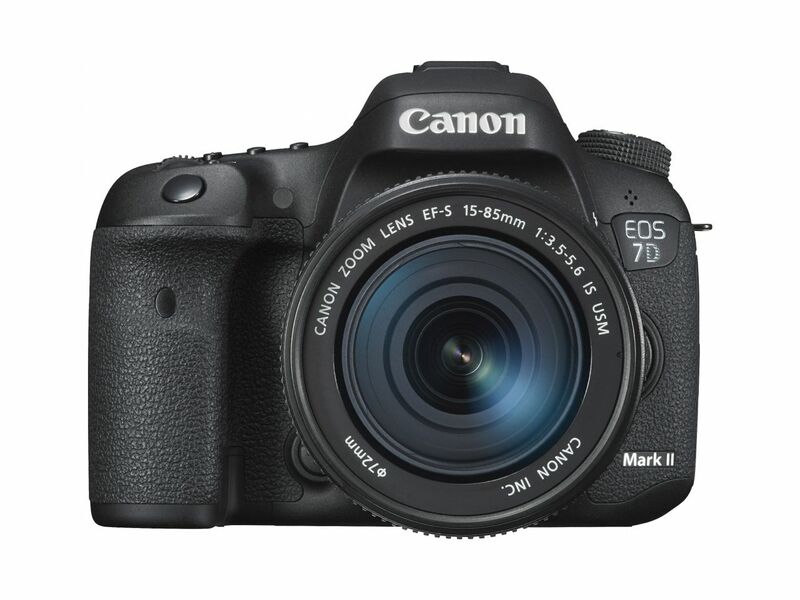 Canon launched the EOS 7D Mark II, the successor to the award-winning EOS 7D. The EOS 7D Mark II features dual DIGIC 6 image processors, a rich 20.2-megapixel CMOS sensor, a new mirror and shutter system that allows high-speed continuous shooting of up to 10 frames per second (fps), and a new 65 all-cross-type Auto Focus (AF) system. This new technology enables the user to rapidly track and focus on the desired subject, granting unprecedented accuracy when shooting fast-moving subjects. Beyond speed, the EOS 7D Mark II comes with a superb 20.2-megapixel CMOS sensor, ISO 16,000, and is powered by dual DIGIC 6 image processors to ensure impeccable imaging quality in shooting conditions and lighting situations. The Dual Pixel CMOS AF function provides smooth and accurate focusing when shooting videos, so that subjects will remain in focus even in the most dynamic scenes. “The EOS 7D Mark II continues the heritage of its predecessor in being a high-performance and powerful APS-C DSLR, and is designed to meet the ever-growing demands of photographers for better image quality and speed. It pushes the boundaries of what is typically seen in the APS-C class of DSLRs, and offers a new cutting-edge APS-C class sensor, delivering nothing short of the most professional image quality and outstanding performance,” said Edwin Teoh, Assistant Director, Consumer Business Marketing, Canon Singapore. The EOS-1D Mark IV was widely acclaimed by professional photographers for its high-speed shooting and AF performance. Through a new shutter and mirror mechanism, the EOS 7D Mark II now inherits the merits of the EOS-1D Mark IV, achieving continuous shooting speeds of up to 10 fps. With a fast burst rate, users can capture fast-moving subjects with precision and sharpness. The EOS 7D Mark II also possesses greater durability with a maximum shutter release cycle of 200,000, up from 150,000 in its predecessor. To cater to the needs of users who prefer low continuous-shooting speeds, the EOS 7D Mark II offers manually adjustable speeds – a feature previously only available in the EOS 1D series. With a new mirror bounce reduction mechanism, users may opt for Silent Mode while shooting under 4 fps. A new 65-point all cross-type AF system covers an AF area larger than most APS-C sensor cameras, leading to greatly increased accuracy, even with a rapidly moving subject. The central AF point, an f/2.8 dual cross-type point, enables the user to focus even in extremely low light situations of down to EV -3 luminance. The EOS 7D Mark II features Canon’s new EOS iTR (intelligent Tracking and Recognition) AF system, which works together with the EOS iSA (intelligent Subject Analysis) to recognize and track a subject’s face and color. With improved algorithms, the system makes it possible to detect human figures so that focusing on the subject’s face is easily achieved. At the same time, the enhancement on the color tracking algorithms enables a more stable tracking of moving subjects. Should there be a sudden change in speed or direction, the EOS iTR AF system will automatically switch to another AF to continue the tracking process. The camera’s EOS iTR AF is supported by AI Servo AF III and AF configuration to facilitate high accuracy and stability. AI Servo AF III accurately predicts the movement of the subject to continually track it, even if the AF point loses the subject temporarily. To fine tune the AF, one of six AF case settings can be selected to improve tracking accuracy under different shooting situations. The EOS 7D Mark II is the first Canon DSLR to be equipped with both a 20.2-megapixel CMOS sensor and dual DIGIC 6 image processors. This powerful combination provides the camera with low noise, high sensitivity and speedy processing for both still images and movies. To cater to professionals shooting fast-action scenes, the EOS 7D Mark II delivers up to 31 shots in RAW format. A new intelligent viewfinder now offers approximately 100% frame coverage, and displays information including major shooting modes, exposure settings and an electronic level. Settings can now be changed while using the viewfinder, combining the benefits of both an optical and electronic viewfinder. The EOS 7D Mark II features enhanced video capabilities with a new Dual Pixel CMOS AF function, enabling high-speed phase-difference detection AF on the CMOS sensor plane. This allows for extremely fast AF and smooth subject tracking in Live View and Movie Shooting mode, even with erratic changes in subject distance. The Dual Pixel CMOS AF also enables the Movie Servo AF to deliver fast and precise tracking. It is also quieter, especially when paired with a Stepping Motor (STM) lens. AF speed can also be adjusted to suit more sophisticated shots, such as slower focus shifts to create a softer effect. Movies are captured at Full HD resolution, at either industry-standard 24 fps or at a high 60p frame rate, and can record in post-production friendly MOV format or MP4 format. A high ISO of 16,000 enables the camera to produce sharper videos, even in low light. While many artificial light sources flicker at a rate that is undetectable by the human eye, visible flickering may occasionally be captured in an underexposed shot. The EOS 7D Mark II detects cycles of flickering lights and accordingly compensates for optimal exposure by only capturing shots at peak light volume, effectively eliminating any visible flickering. Infrared information is also taken into account with regular RGB data for ideal white balance control. Interval and Bulb Timer features make the EOS 7D Mark II the first EOS camera to be able to shoot time-lapse movies and long-exposure shots without requiring a separate remote control. Improved High Dynamic Range (HDR) and multiple exposure functions also now give users the creative advantage to create multiple-exposure shots within the camera. To improve its functionality and ease of use, the EOS 7D Mark II is now equipped with more customizable options. Along with the aforementioned AF area select lever, it features two quick control dials, a button to toggle major settings like ISO speeds with the dial and more, contributing to a total of 11 customizable controls. Advanced users will be able to make full use of these controls to speed up their work process. 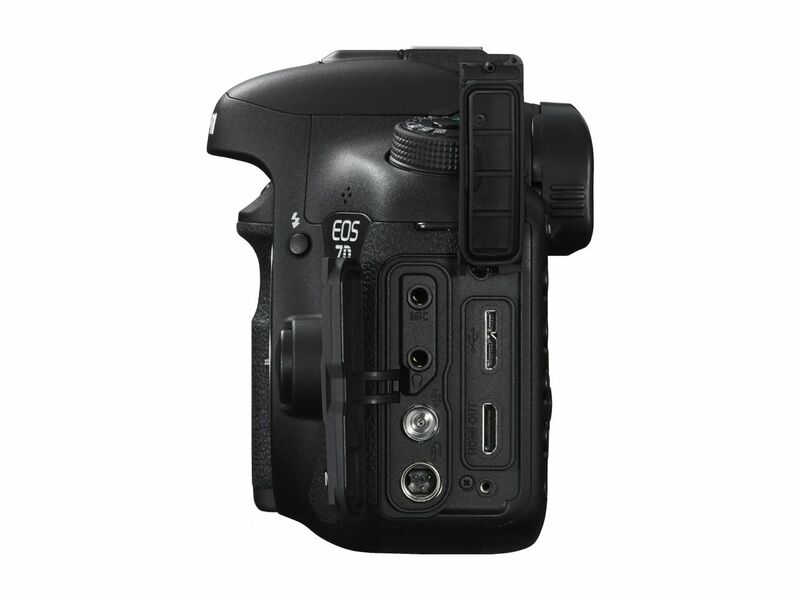 The EOS 7D Mark II comes with double memory card slots – a CF and SD card slot. Users may opt to record their images and videos on both cards simultaneously, which provides for additional backup. It also features an inbuilt USB 3.0 Digital Terminal for faster transfer speeds – a first in the EOS family. The EOS 7D Mark II has a tough but lightweight magnesium alloy body, with enhanced sealing over the external cover seams that is estimated to be four times more resistant to dust and water over the EOS 7D. An optional BG-E16 battery grip caters to heavy-duty users who shoot for extended periods of time, featuring a multi-controller, as well as an AF area selection button to allow easy operation even when holding the camera in a vertical position. Users may also opt for the optional Super Precision Matte type focusing screen, which helps frame sharp points of focus easily when using bright lenses with a maximum aperture of f/2.8 or higher. An optional Wireless File Transmitter, the WFT-E7 offers enhanced versatility when transferring data between the EOS 7D Mark II and a workstation. Supporting IEEE 802.11 a/b/g/n network connections, it provides for reliable and faster wireless LAN transfers. 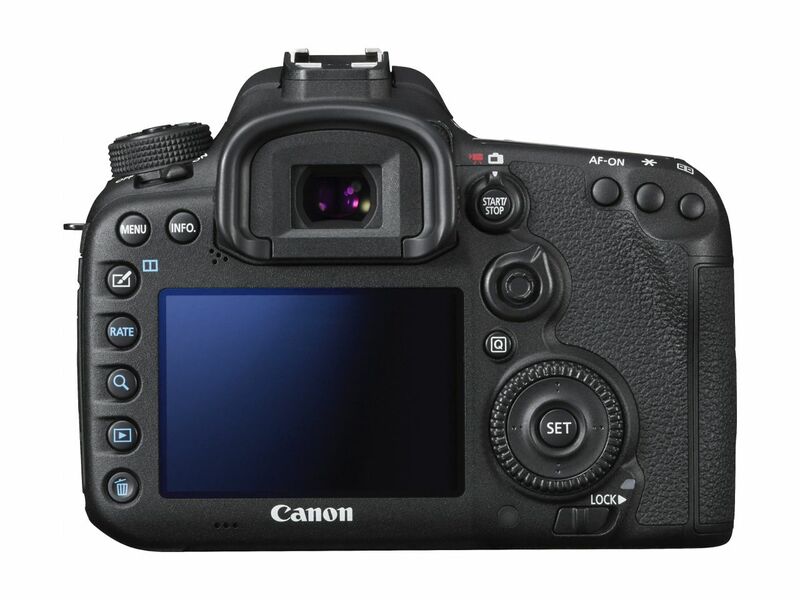 Pricing and availability of the EOS 7D Mark II and its optional accessories will be advised at a later date.